The week gone by saw two startups from Bengaluru—mobile application developer Hashtaag and co-working space provider CoLife—receive $1 million each in seed funding. Unlike the previous week, this time the startup funding momentum shifted down south. 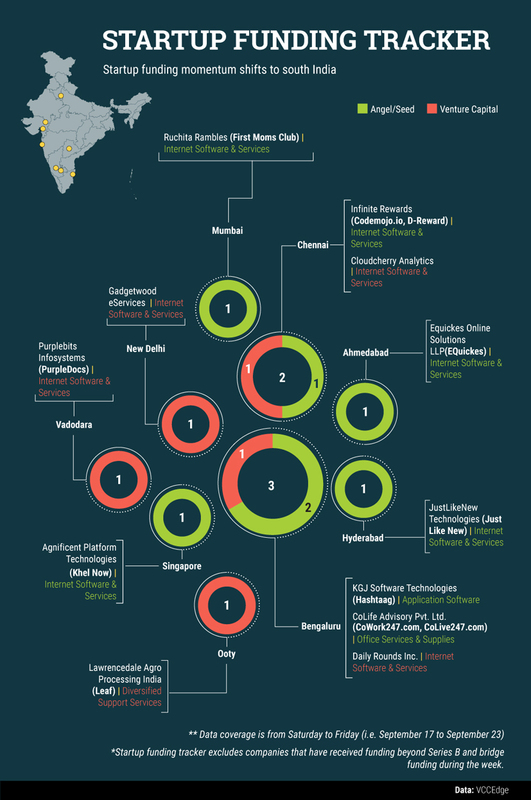 Companies based out of Bengaluru, Hyderabad, Chennai and Ooty struck seven of the 12 funding deals this week. Hashtaag plans to use this money to expand to its operations to African countries Morocco and Nigeria and increase its staff strength. CoLife is planning to spread its services to Hyderabad, Pune and Gurgaon. Among the other startups that got funded were an upcoming sports portal Khel Now, First Moms Club—a networking platform for mothers—and healthcare records management service provider PurpleDocs.